The movie starts out as many of the genre do with teens on their way to a secluded log cabin (this time in the snowy mountains) for a weekend trip away. 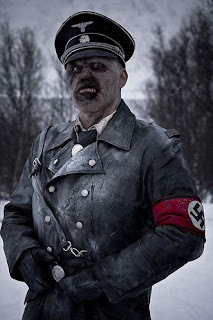 When they arrive they encounter a wierd old man who comes into the cabin who doesent like their coffee and smokes roll ups who tells them the tale of the evil curse and the nazis that were never found again in the mountains. At this point the movie is pretty much Friday the 13th with different use of words. 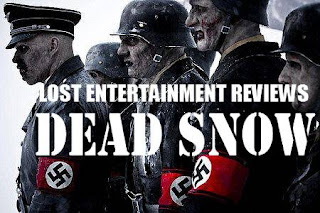 Anyway its not long before the kids find a box of treasure in the cabin and decide to steal it and a horde of undead Nazis decide to turn up and not very pleased at all! The rest of the movie is just the characters trying to survive against the horde of the 3rd Reich's undead. The movie has buckets of gore and the zombies themselves have awesome make up, costumes and special effects. The zombies are very strong, can run, use objects such as knives to kill their victims and they eat the bodies.